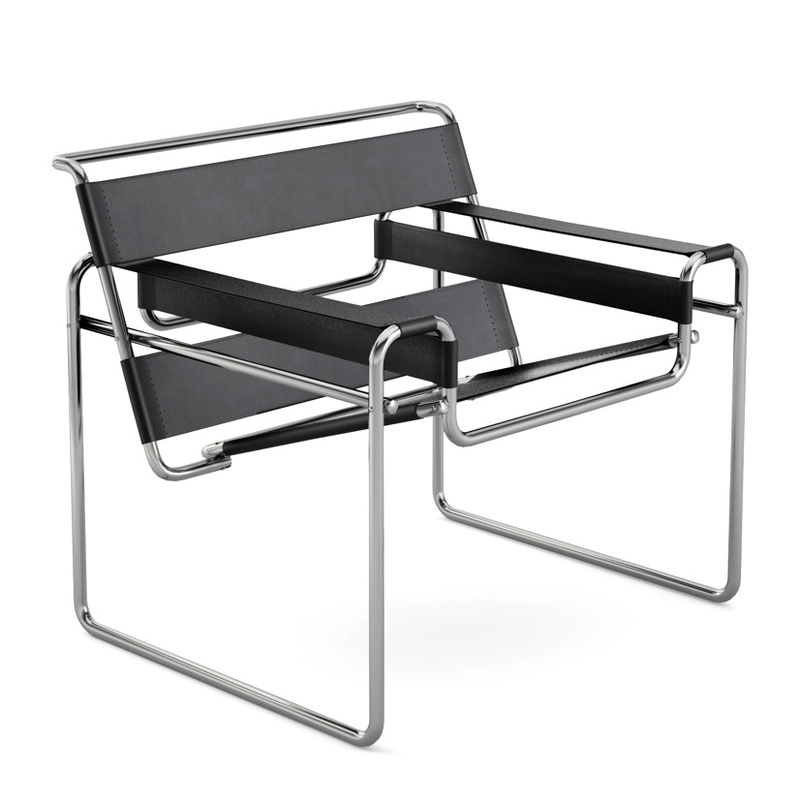 The Wassily Chair, designed at the Bauhaus in 1926 by Marcel Breuer and produced today by Knoll, marks the beginning of modern furniture design. One of the first furniture designs to make use of steel tubing the Wassily Chair's elaborately shaped frame is combined with a leather upholstery that forms the seat and backrest. Breuer's constructivist design radically presents its statics for all to see and thus connects aesthetics and function in a unique and innovative manner. How do I recognise an original Wassily Chair? The Knoll logo and the signature of the designer are engraved on the frame. The original Wassily Chair is made of a special steel tube, which does not deform even after long-term use and guarantees stability. The elaborate chrome plating and the specially treated leather cover also indicate the authenticity of this design classic. In addition, the closing caps, for example, are made of metal and not plastic. 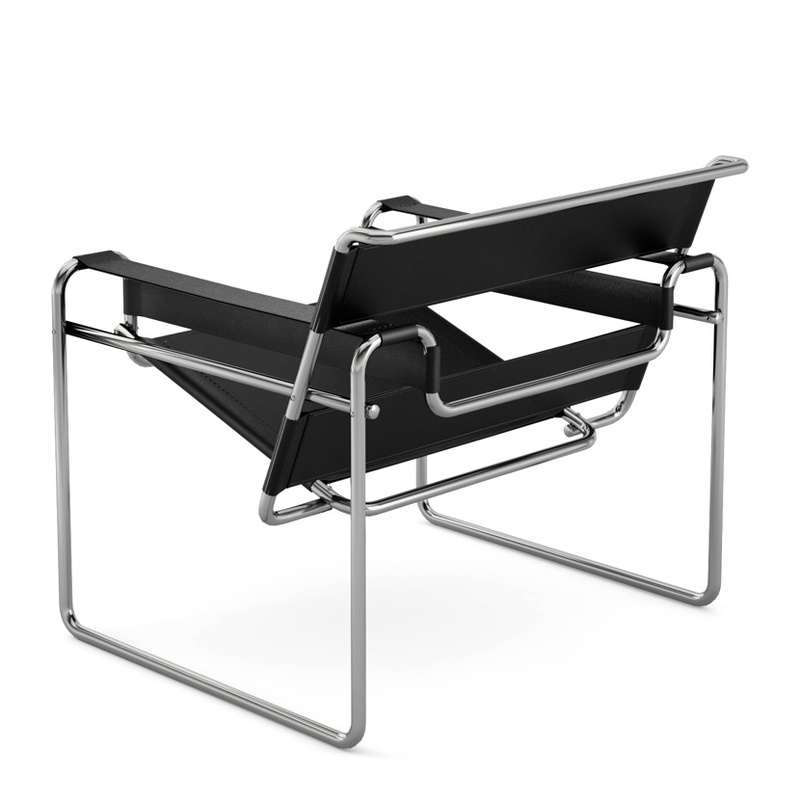 The Wassily Chair owes its name to none other than the painter Wassily Kandinsky. Produced by Knoll International the chair originated at the Bauhaus school at a time when Kandinsky taught at the renowned institution. Designed by the artist and designer Marcel Breuer in 1926, Kandinsky was so taken with the design of Breuer's leather and tubular steel chair that he had an example produced especially for his apartment in the Dessau Meisterhaus complex, and that before the chair entered series production - hence everyone referred to it as "Wassily's Chair". According to legend, Marcel Breuer was inspired by his bent tubular steel bicycle handlebars - and decided to use the same material - and thus its ability to be easily and stably formed - for furniture manufacturing. 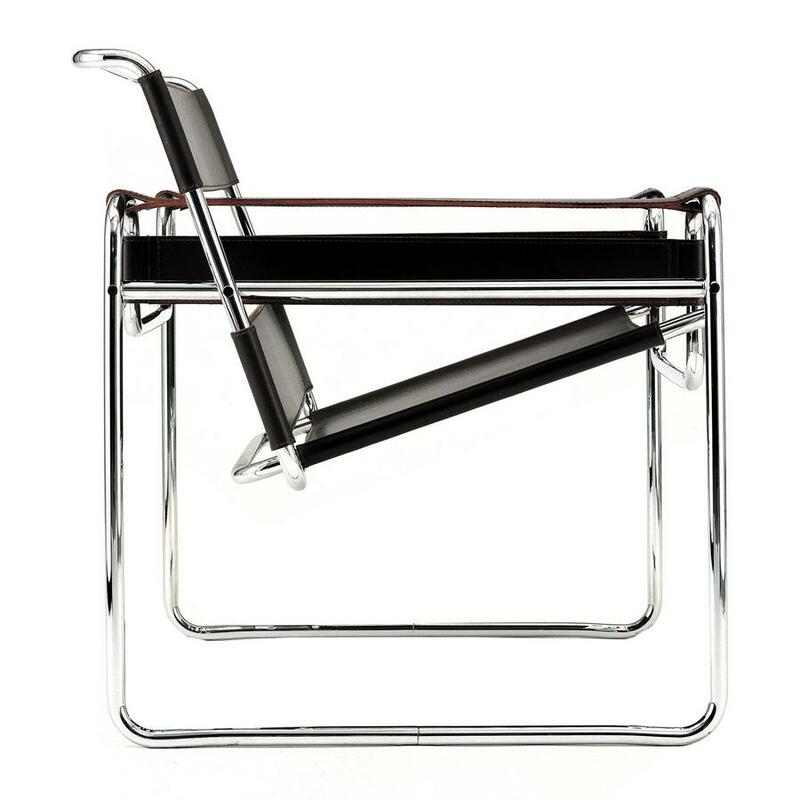 The Wassily Chair was thus the first piece of tubular steel furniture. The unusual constructivist frame is a central element of the design and its statics, including the way in which the tension of the leather straps create a backrest and seat, are here radically exposed and bequeath the chair its unique aesthetic quality. Contrary to Breuer's expectations the Wassily Chair became a great success, largely on account of its rigorous formal language, and within a very short time many copies were to be found on the market - and thus a new type of popular furniture was born: the tubular steel chair, a genre to which Marcel Breuer was to greatly expand and enrich. On account of its unique importance in the history of design the original Bauhaus chair has now found its way into the permanent collections of all relevant design museum collections, and remains a textbook example of timeless design with mundane touch. 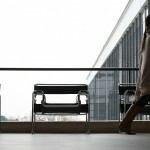 Available in a range of leathers the Wassily Chair can be effortlessly integrated into innumerate settings.